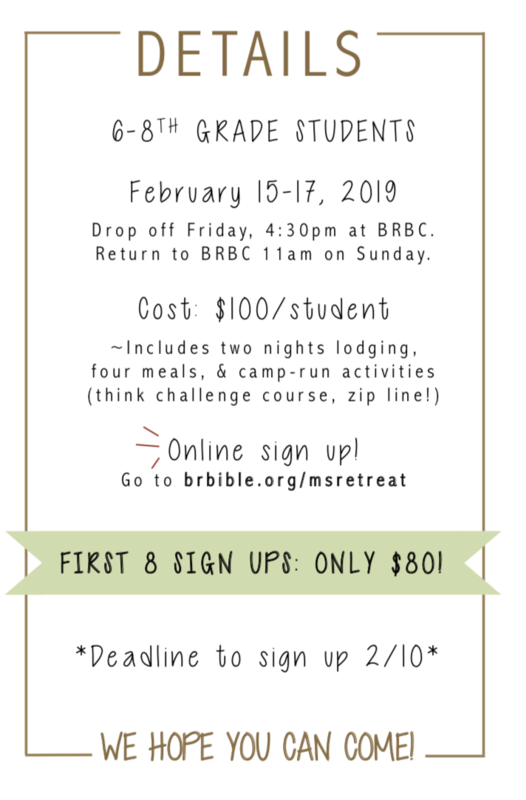 February 15-17 Blue Ridge is organizing an overnight youth retreat for middle schoolers grades 6-8, ages 11-13. The goal is to help them learn, about themselves, others, and God! 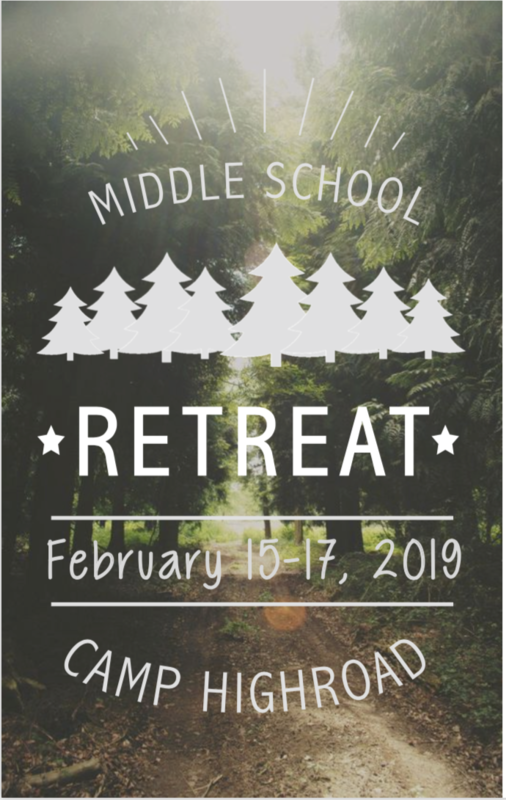 The retreat will includes worship, Bible lessons, Camp Highroad team challenges, and tons of fun. The theme of the retreat will be Made for Friendship! We will be focused on what the Bible says about our relationships — both with God and the people He has put in our lives. The last day to sign up is February 10 and the cost is $100. The first 8 sign ups only pay $80, so sign up early! Camp Highroad is located in Middleburg Virginia, just 20 minutes from the church. It is a Christian outdoor adventure camp. Our students will stay in a “Oak Lodge” where they will be in camp-style bunks — guys and girls will obviously be separated with seperate bathroom facilities. The lodge is fully heated and quite cozy warm! The overview plan for the weekend is to have three main teaching times – Friday night, Saturday morning and Saturday evening. Friday night we will have a time a worship and lots of games! Between the teaching and food on Saturday we plan to go out and have some fun on the wintery campgrounds; this will include doing various team challenges and zipline. And of course there will be free time for students to hang out in the lodge, or go out to the Gaga pit to play Gaga Ball. Toiletries! *steps on soap box to talk about soap*Any essential hygiene items are a must! With this many middle school kids running around for the weekend, there is a lot of potential for stink! Let’s mitigate that as much as possible. ;). Students will be expected to take showers over the weekend. Sleep stuff (sleeping bag, pillow, etc., cots provided, but they don’t have sheets or blankets) again the lodge is heated.